The Medina Series of laminate office furniture combines Italian-influenced designs, style and durability. Medina features a floating work surface with a beveled edge that combined with three different laminates sets Medina above all other furniture collections. Medina's style and value both rest on Mayline's laminate expertise. From realistic wood grains, clean lines, curved shapes and floating work surfaces, Medina ensures a beautiful collaboration with other Mayline furniture and you can be certain that it will complement most any decor. Clean lines, curved shapes, and floating work surfaces reflect Italian design influences. All desk, return, and extension work surfaces are 1" thick with a distinctive beveled edge. Available Finishes: Gray Steel, Mahogany and Mocha. Mayline Medina Conference Room Furniture - Conference Table - 10' x 48"
The Medina Series of laminate office furniture combines Italian-influenced designs, style and durability. Medina features a floating work surface with a beveled edge that combined with three different laminates sets Medina above all other furniture collections. Medina's style and value both rest on Mayline's laminate expertise. From realistic wood grains, clean lines, curved shapes and floating work surfaces, Medina ensures a beautiful collaboration with other Mayline furniture and you can be certain that it will complement most any decor. The Medina Series of laminate office furniture combines Italian-influenced designs, style and durability. Medina features a floating work surface with a beveled edge that combined with three different laminates sets Medina above all other furniture collections. Medina's style and value both rest on Mayline's laminate expertise. From realistic wood grains, clean lines, curved shapes and floating work surfaces, Medina ensures a beautiful collaboration with other Mayline furniture and you can be certain that it will complement most any decor. Mayline Medina Conference Room Furniture - Conference Table - 12' x 48"
Mayline Medina Conference Room Furniture - Conference Table - 14' x 48"
The Mayline Medina Series of laminate office furniture combines Italian-influenced designs, style and durability. Medina features a floating work surface with a beveled edge that combined with three different laminates sets Medina above all other furniture collections. Medina's style and value both rest on Mayline's laminate expertise. From realistic wood grains, clean lines, curved shapes and floating work surfaces, Medina ensures a beautiful collaboration with other Mayline furniture and you can be certain that it will complement most any decor. The Mayline Medina Series of laminate office furniture combines Italian-influenced designs, style and durability. Medina features a floating work surface with a beveled edge that combined with three different laminates sets Medina above all other furniture collections. Medina's style and value both rest on Mayline's laminate expertise. 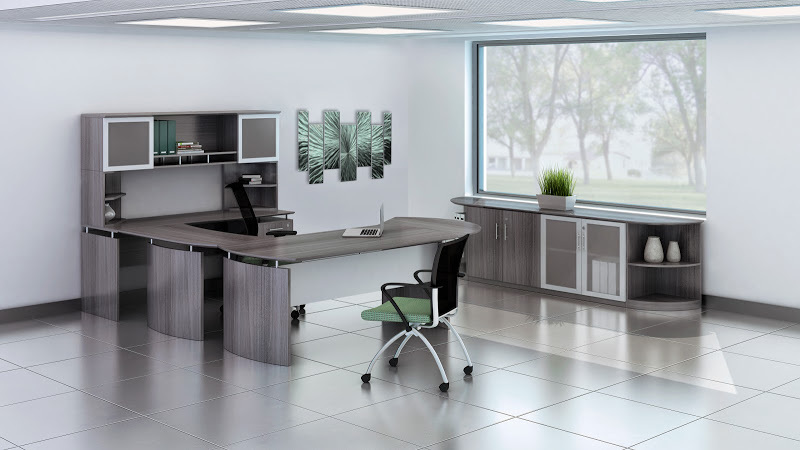 From realistic wood grains, clean lines, curved shapes and floating work surfaces, Medina ensures a beautiful collaboration with other Mayline furniture and you can be certain that it will complement most any decor.